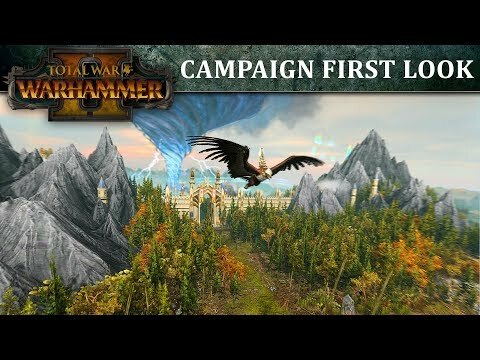 Creative Assembly, the studio behind the landmark Total War series, has recently gotten a little looser with information regarding the sequel to their first fantasy strategy game Total War Warhammer, releasing two gameplay trailers and letting a few “hints” at future content slip out via facebook and reddit. While most of the factions, excluding their mysterious fourth, have been confirmed, the trailers have shown some of the previously unknown Legendary Lords and minor factions. We’ll be taking a look at these trailers to glean some new information on major and minor factions, their leaders, some of the new game features that will be released, and reviewing how this relates to some older announcements. Players can expect to gain access to the continents of the New World in the Fall of 2017. After months of speculation, Creative Assembly has finally announced the release date for Total War Warhammer 2 on the game’s Steam page. The game will go live September 28, 2017, meaning that players will get to start conquering the New World in about three months. There’s no exact date for when the map combining the two games will be released yet, but Creative Assembly did say that it will be up within a few weeks after Warhammer 2’s release, so it will most likely be in mid to late October. In the meantime, the game is already available for preorder at $59.99. Whether or not there will be any preorder bonuses, such as when the previous game made Chaos Warriors available for free upon release for players who preordered it, remains to be seen. Fans have speculated that there will indeed be a preorder race, with the Tomb Kings of the Southlands being an obvious choice, though, as of now, this is just a rumor. It’s commonly been accepted that the Skaven will be Warhammer 2’s last faction, but no official confirmation has been released. Lustria is looking like it will be a fairly chaotic land, with a number of Old World factions huddling at its coast, as well as being filled with natural threats and foreign bands of treasure seekers. While this may present some initial challenges to forces seeking to conduct an organized invasion, the Lizardmen live to protect their hidden Temple-Cities. If other factions wait too long to delve into the depths of the Lustrian jungle they might find these minor factions slaughtered, their bones crushed under the tread of scaly war beasts. Still no word on the fourth faction of Warhammer 2, which is strange given that all four factions of the original were announced in the game’s initial trailer. Skaven are popularly believed to be the fourth faction, and while we still haven’t seen any trailers or announcements for them, a member of the development team did release an interesting statement on Reddit. They stated that the army rosters have yet to be “ratified,” drawing attention to the word with quotation marks. Whether or not this statement is a veiled attempt to confirm the rat-men’s presence in the game remains to be seen. 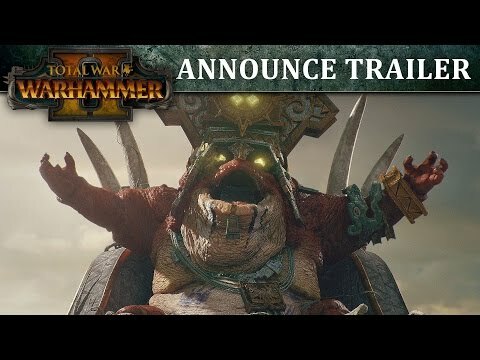 With three months until the game’s release we’ll probably be receiving more trailers and information, and, if the lore is anything to go by, the Skaven are always swarming just out of sight, waiting for when you least suspect it to emerge and strike. Malekith, Witch-King of Naggaroth, the faction leader of the Dark Elves. The look at the campaign map also tipped us off to several of the Legendary Lords that players can take control of upon release. The trailer started with presenting Prince Tyrion, Lord of Ulthuan, and contender for the Phoenix Crown. The trailer also featured Tyrion’s brother, Teclis, High Loremaster for the Elves of Ulthuan and their greatest living battle mage, who starts his campaign in a unique position in the Eastern portion of Lustria. The Lizardmen will be led by their most powerful living Slann Mage-Priest, the venerable Mazdamundi, who guides his cold blooded charges towards fulfilling the Old Ones’ desires. Acting under him, as the military arm of the Lizardmen, is Kroq-Gar, a Saurus leader who charges into battle atop a powerful Carnosaur. The two lords together balance magical strength and physical might, and will surely be a challenge to any elven invaders. The only confirmed Legendary Lord for the Dark Elves is Malekith, Witch-King of Naggaroth and direct heir of the last Phoenix King. It was Malekith’s attempted ascension to the throne that divided the High Elves and Dark Elves, kicking off a centuries long civil war. The most likely partner for Malekith is his own mother, Morathi, a powerful sorceress and first of the Hag-Queens. As for the Skaven, there’s little to do other than speculate as to who their Legendary Lords will be. The Skaven themselves are led by an immortal Council of Thirteen, powerful clan leaders who rarely engage in direct combat. Two likely suspects are Queek Headtaker, a powerful Skaven warlord, and Grey Seer Thanquol, one of the more famous members of the Skaven’s horned priest-sorcerers. 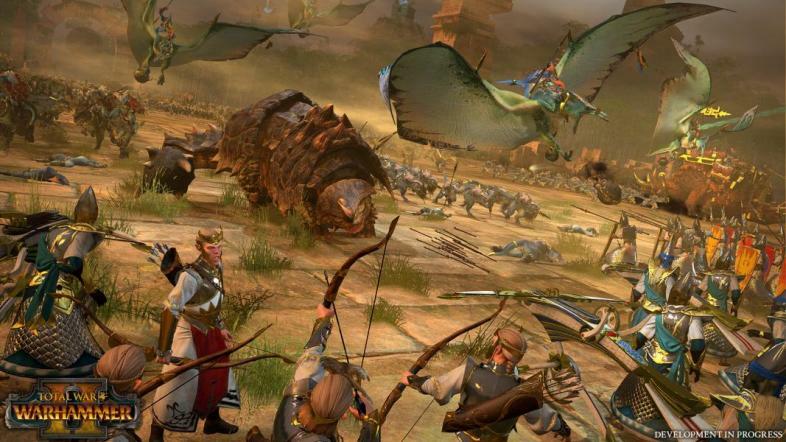 The High Elves will certainly have their hands full with the monsters of the Lizardmen, but their dragons and phoenixes should let them stand on equal footing. The latest trailer for the game’s campaign map also mentioned the presence of armies that do not belong to the four factions being added. As the trailer turns to the lands of Lustria, it mentions that certain races of the Old World have made outposts along the coasts. We’re introduced to what appears to be a Vampire Counts city, possibly confirming the presence of the lore-rich Vampire Pirates, and possibly the Tilean/Estalian Colonies. Players will have to either conquer these minor factions or else make alliances with them for trade and military aid, though what diplomatic bonuses the new factions have has yet to be revealed. Also present in the trailer were “Rogue Armies,” wandering warbands comprised of units from many different factions. These armies may be implemented throughout both the New and Old Worlds, but it’s not likely that players will have many diplomatic options with these ambitious adventurers. The Vortex is now confirmed to be at the heart of the High Elves’ territory, but what ways they and other factions can interact with is still being kept in the dark. The campaign trailer has given us a sneak peek of many map features, making naval movement a little more complex. Players will have to travel through storms and avoid great reef formations in order to guide their armies shore to shore safely. There will also be many ruins found in the unknown depths of new continents, left behind by ancient civilizations. Players will be able to build new settlements over these remains, or explore them for hidden treasures, though what these treasures might be remains a mystery. Armies pitted against each other in the four-way multiplayer matches will be torn to shreds by enemy fire, magic, and combat. It’s not unthinkable that the survivors will only be in the double digits. Another feature to be announced for the game was released through the official Total War facebook page. The post gave details on a new battle mode for online matches, allowing players to engage in brutal four-way free-for-alls, pitting playable factions against each other in desperate clashes that will test their tactical skills under extreme pressure. These four-way battles will have maps that will funnel player units together in fierce clashes, though the last man standing might not necessarily win. These online battles will implement a point system that will determine the winner of individual matches, which will no doubt push players to be as devious and bold as they can be. While this new information gives us a lot to chew over, there’s obviously still a lot left to be revealed. The Skaven’s lords, starting location, and units for example, as well as other minor factions and game mechanics. Perhaps the biggest mystery is what benefits controlling the powerful vortex at the center of Ulthuan will be, but there’s still plenty of time for more leaks and announcements.